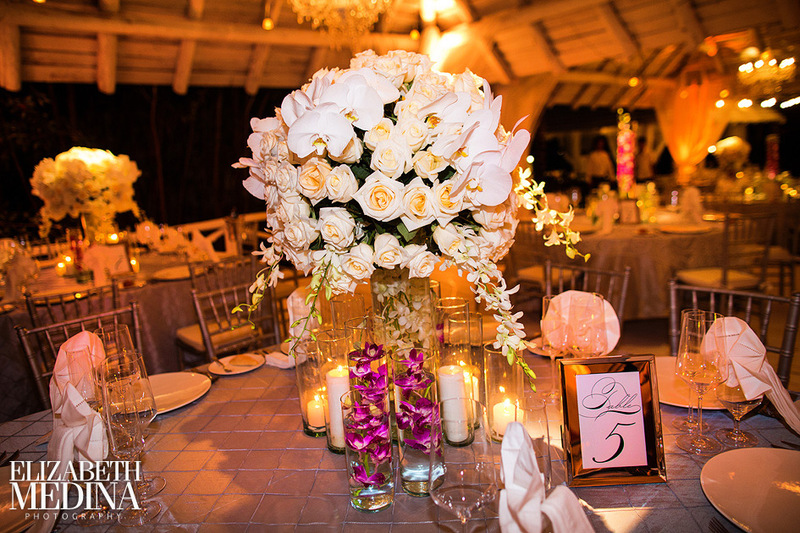 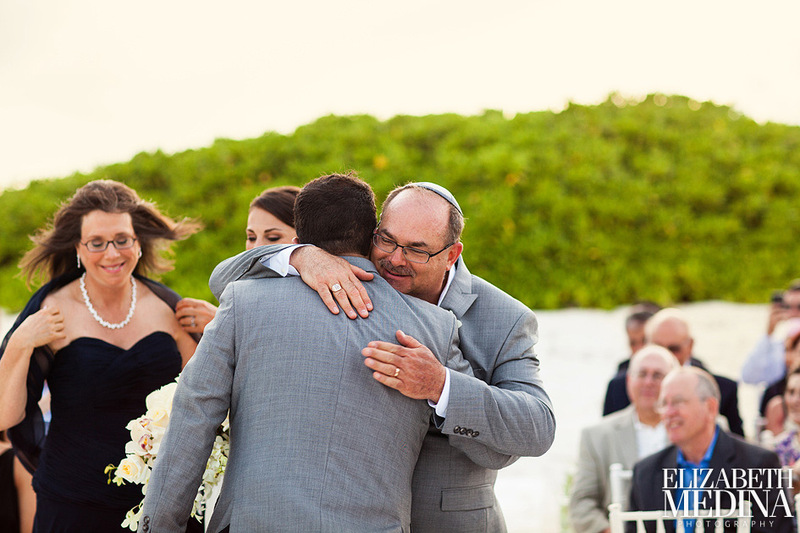 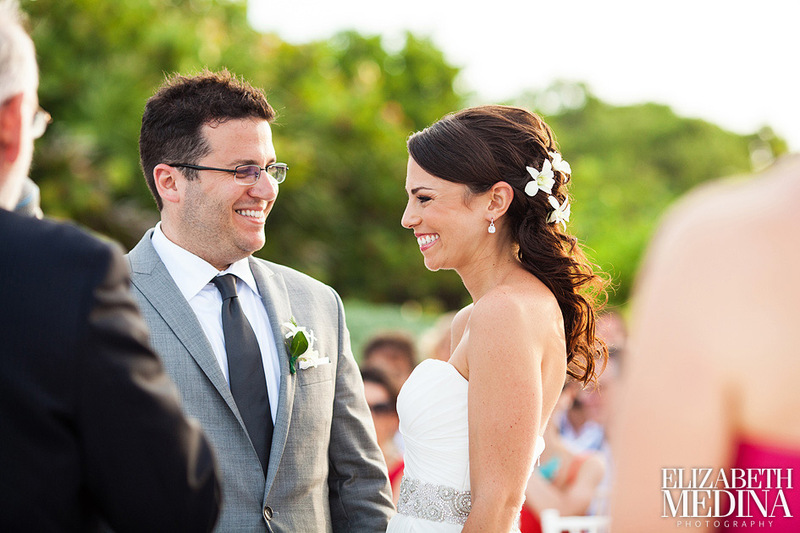 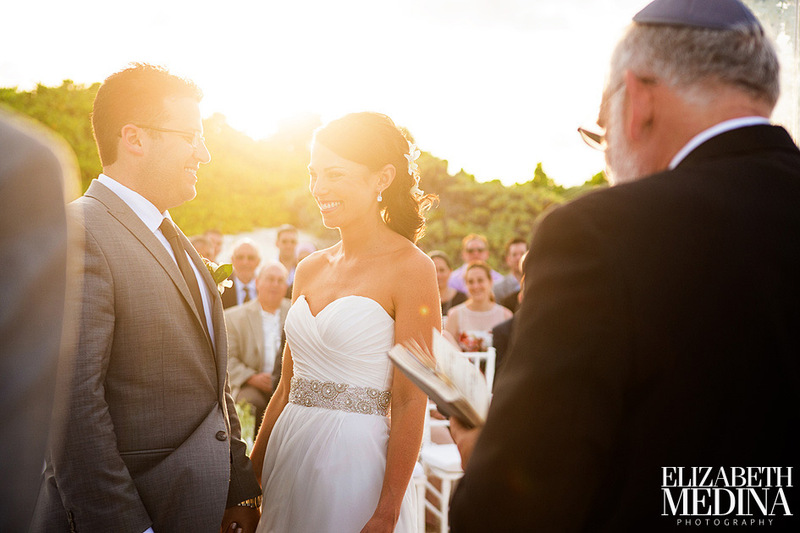 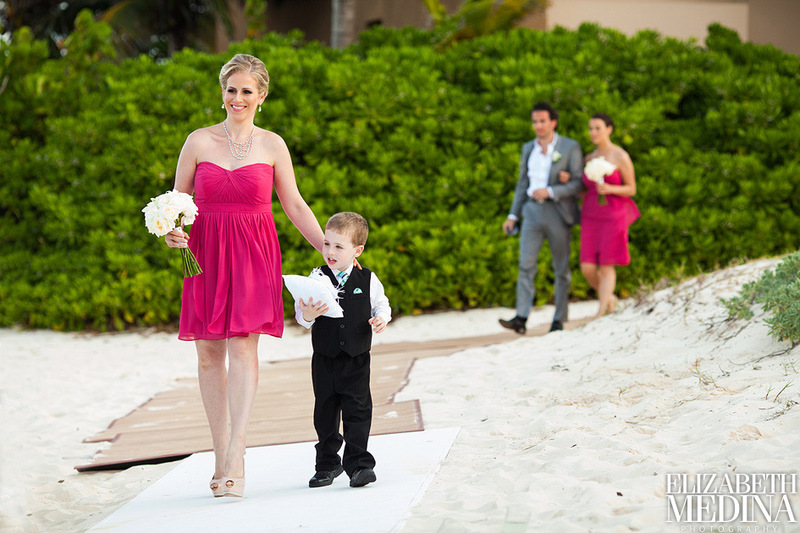 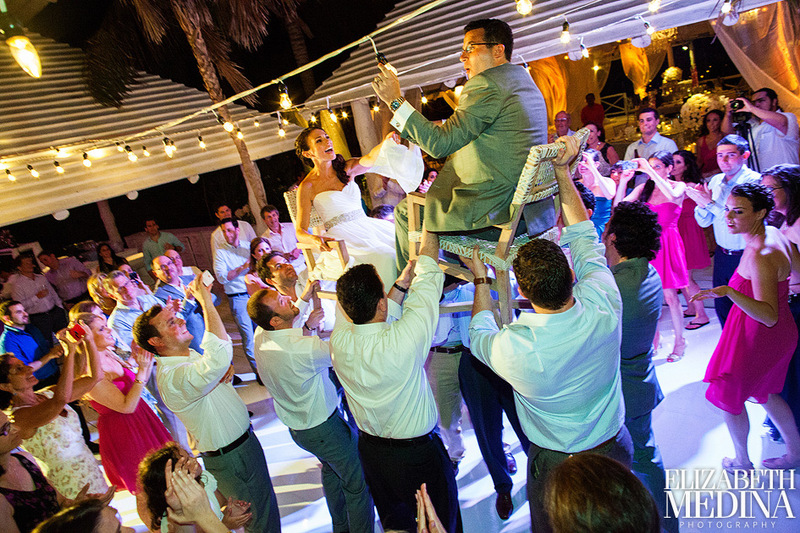 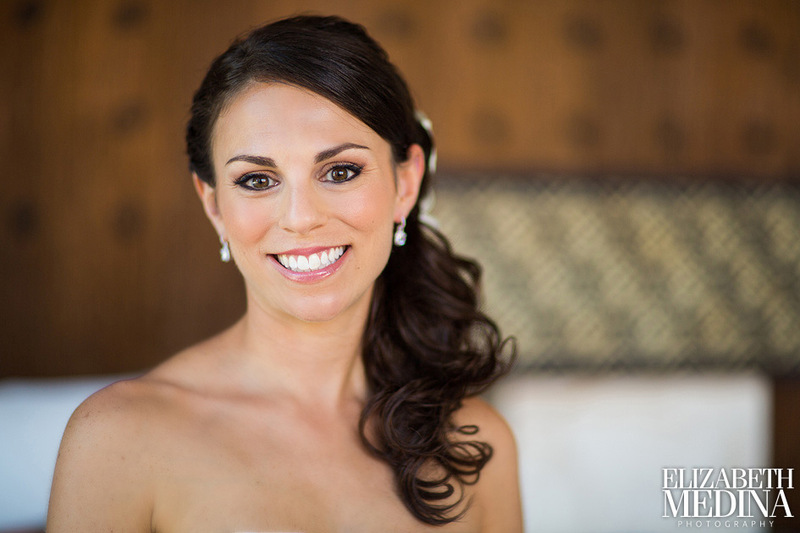 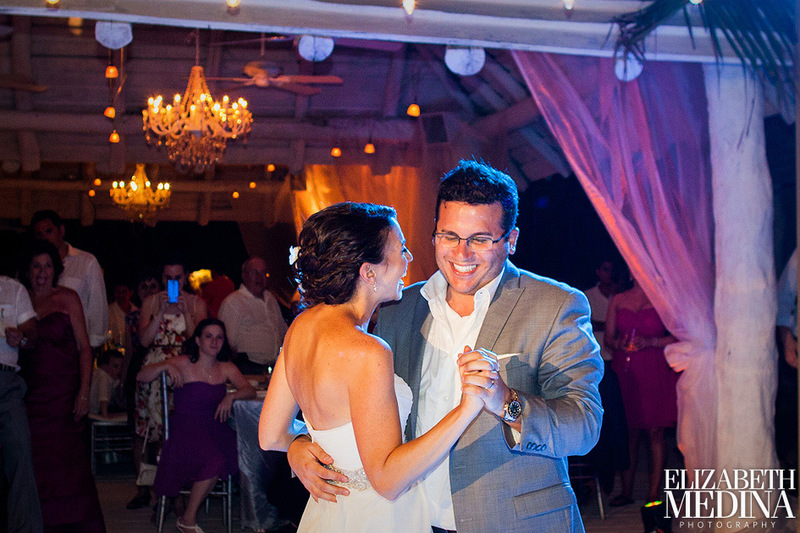 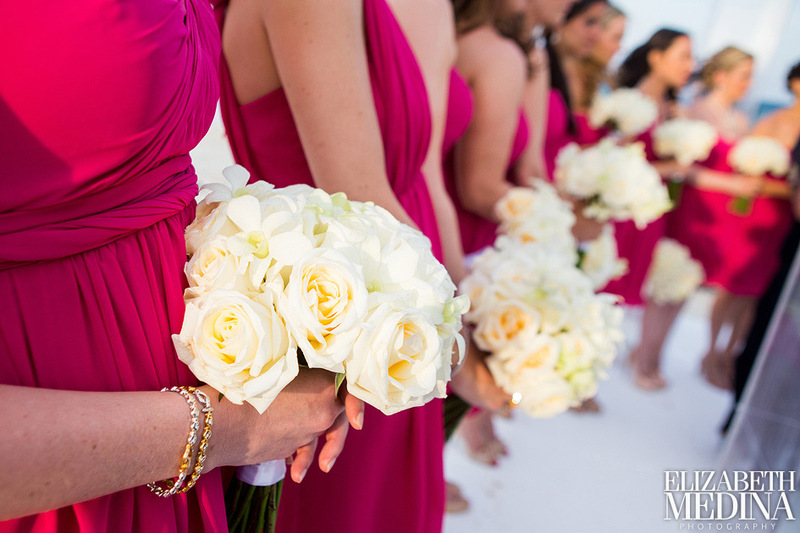 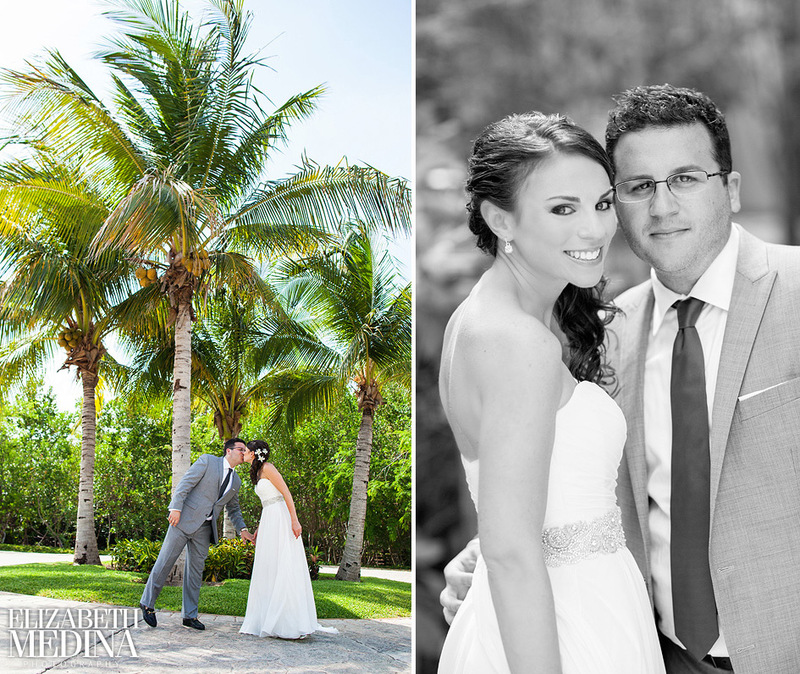 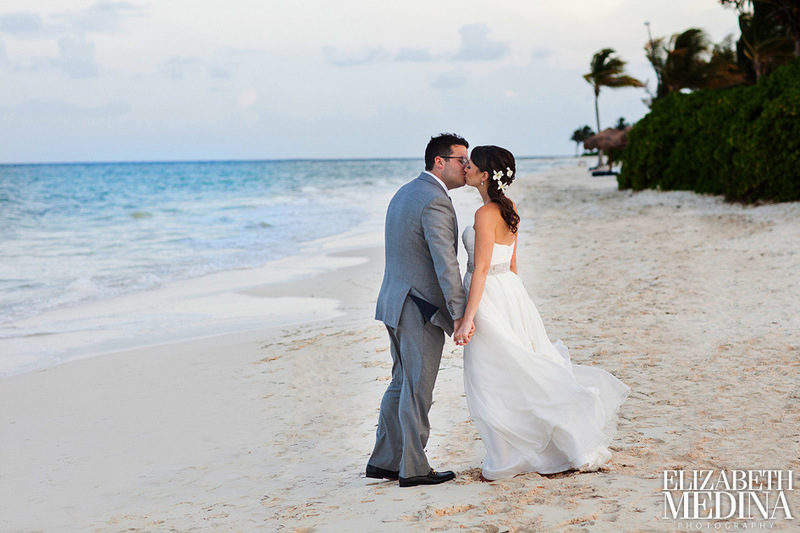 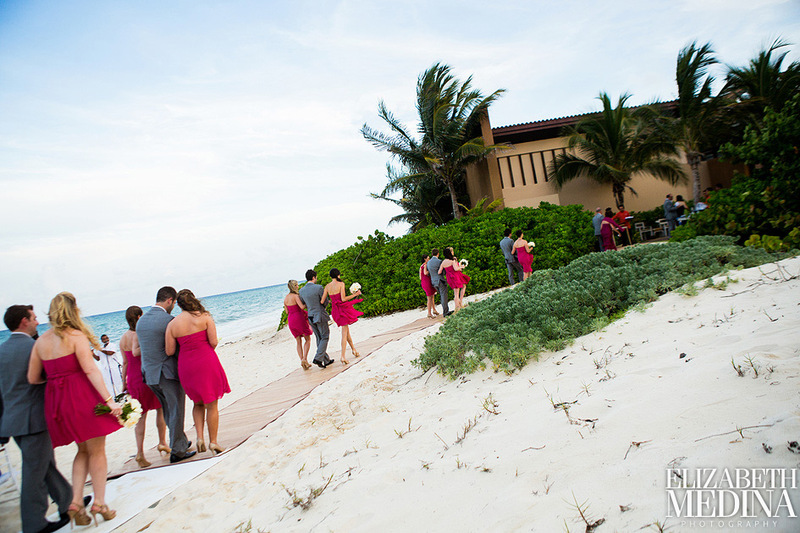 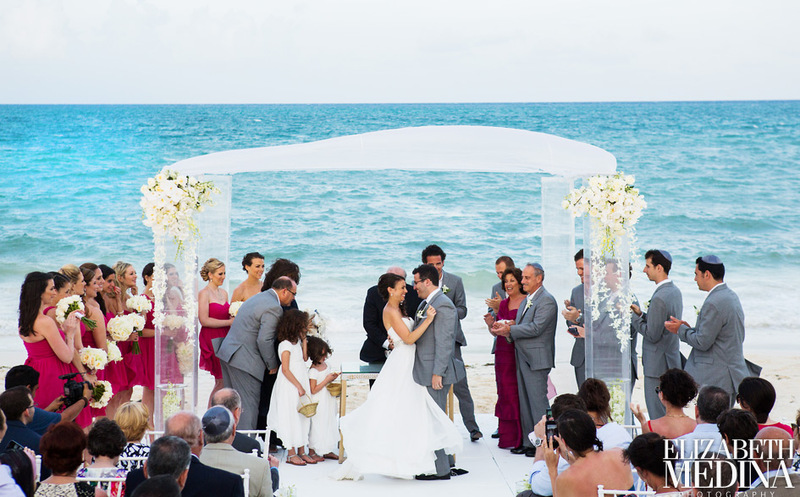 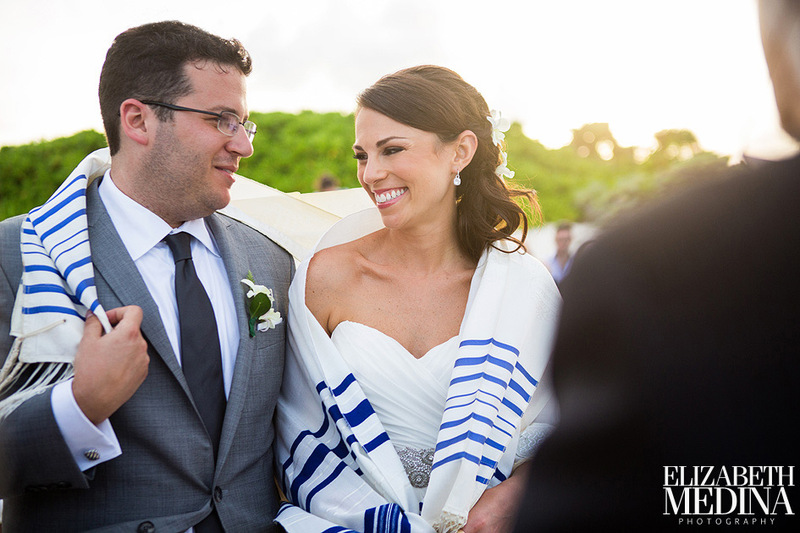 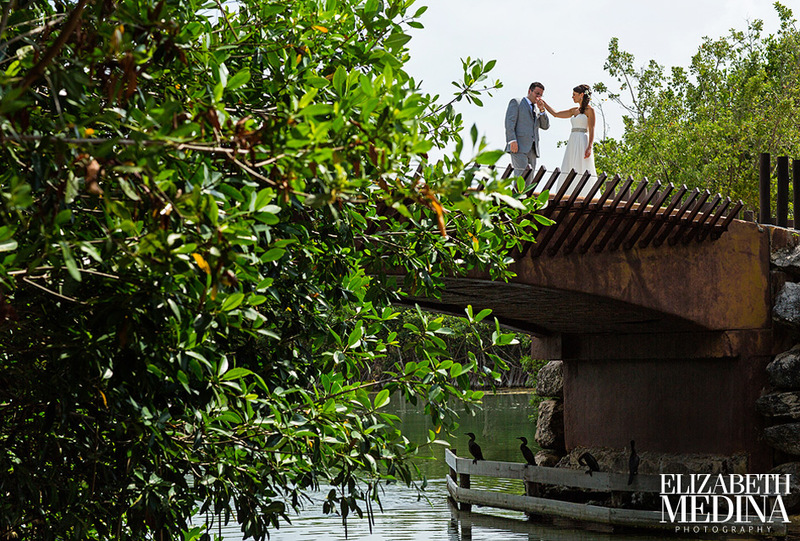 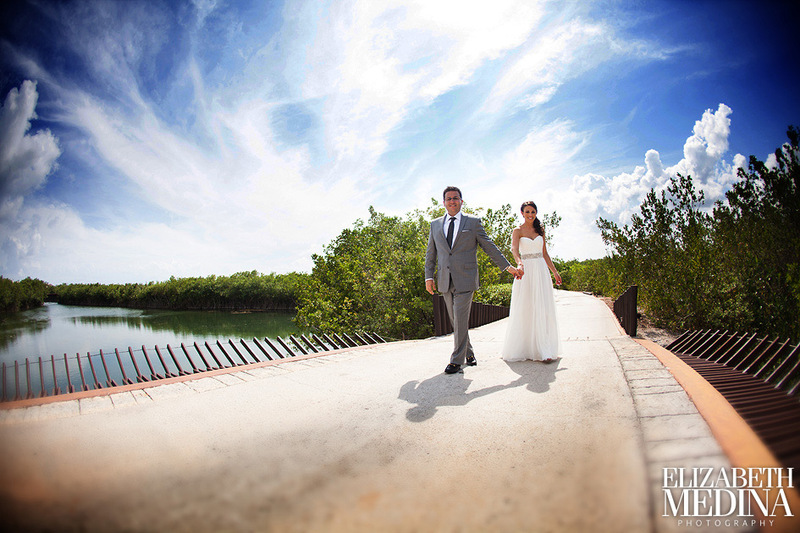 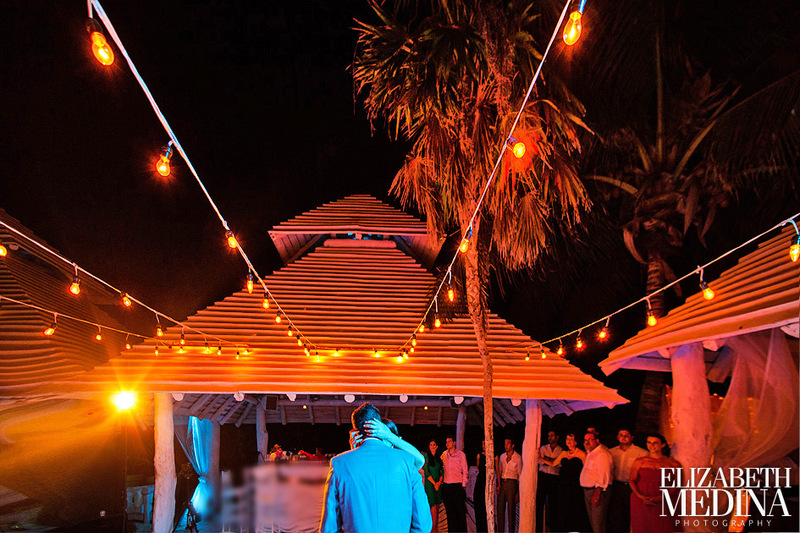 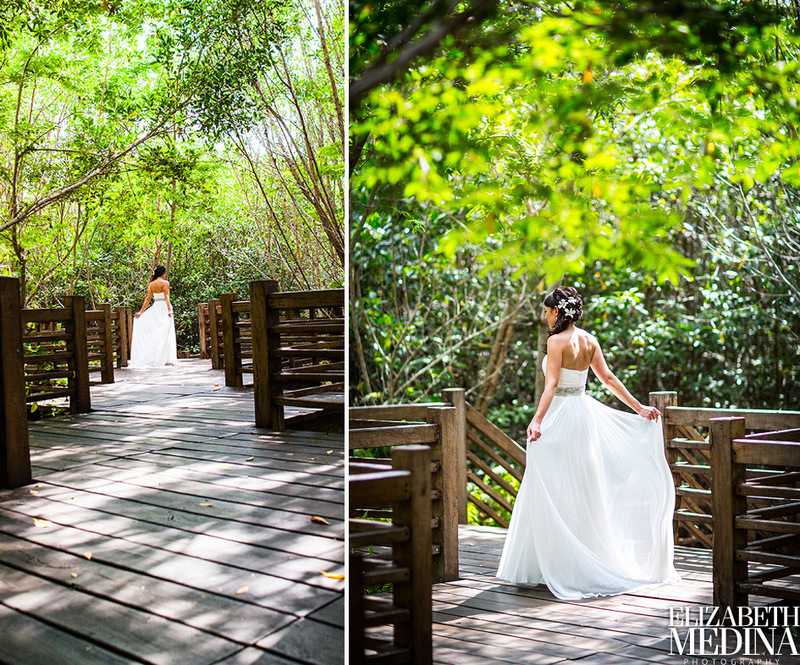 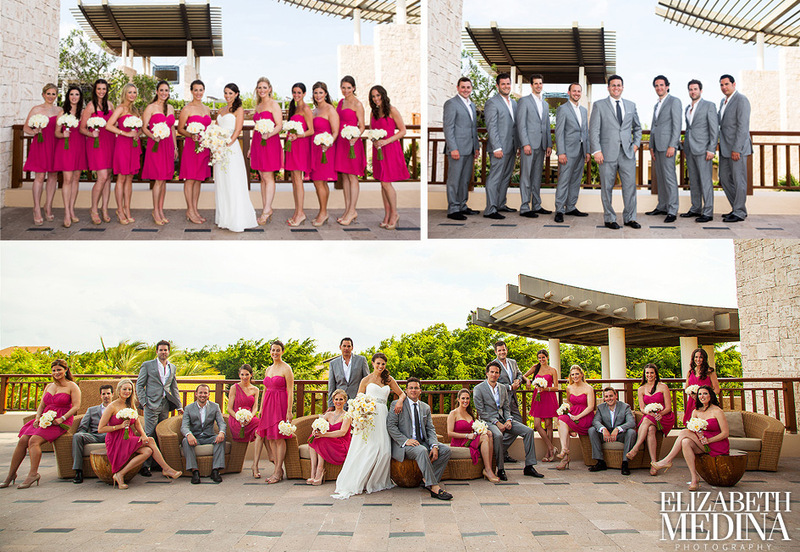 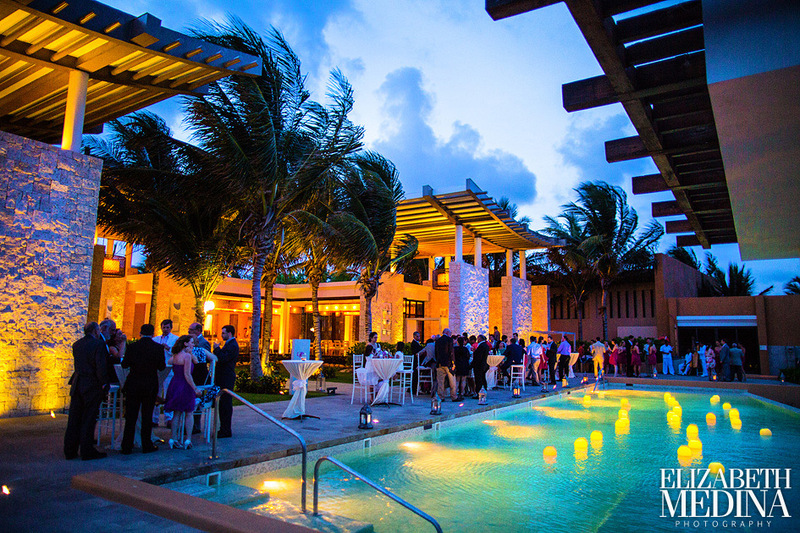 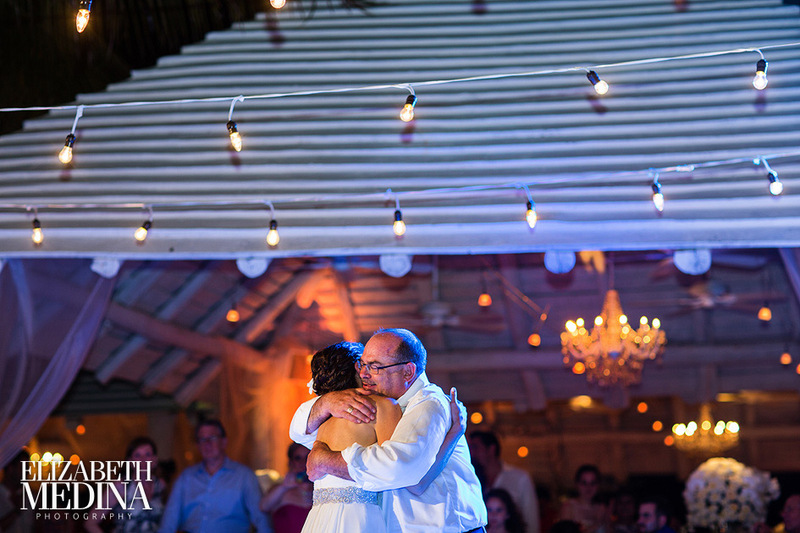 Sharon and Josh were married on the beach at the one and only Banyan Tree Mayakoba in Playa del Carmen, Mexico. 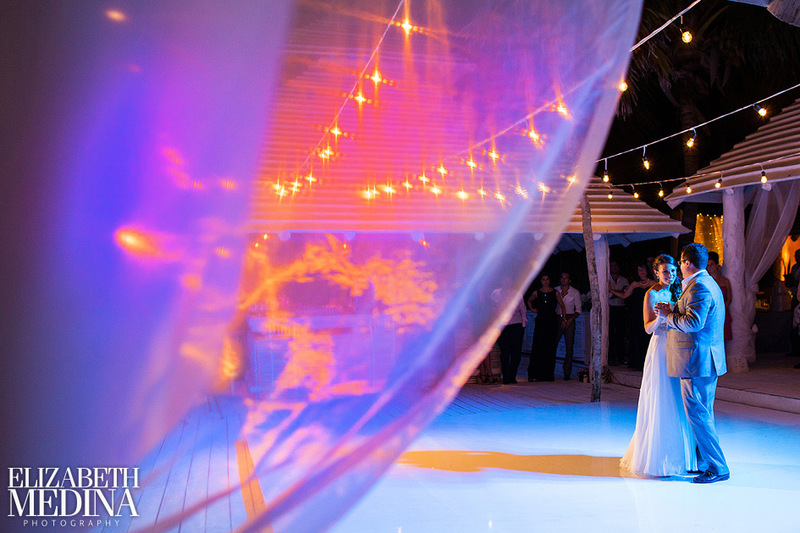 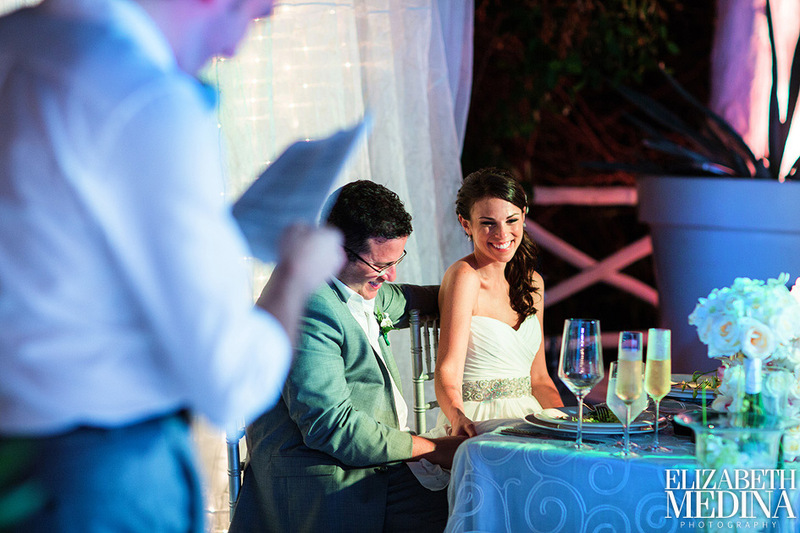 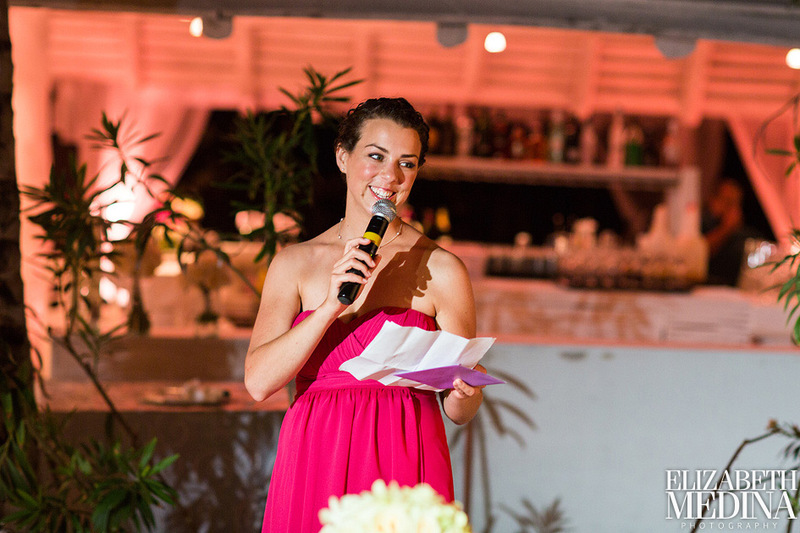 This wedding seemed to have pretty much everything one would hope for from a destination wedding in beautiful Mexico. 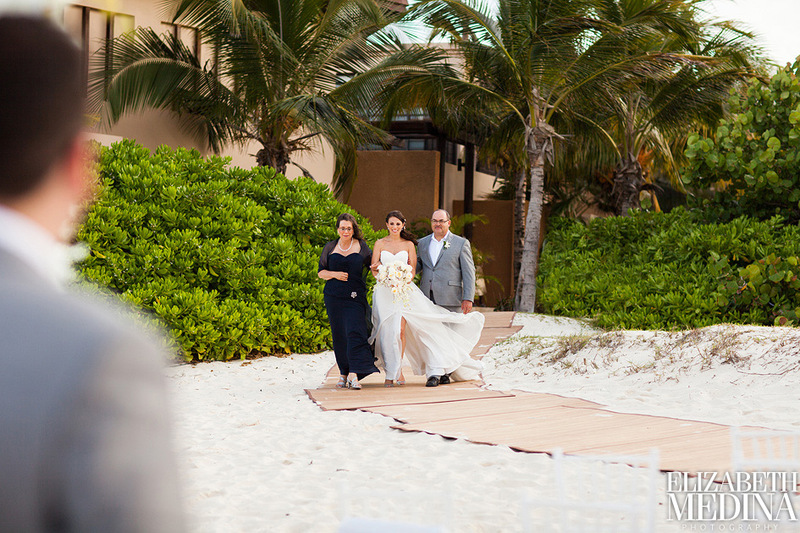 Gorgeous bride, handsome groom, delighted family and friends, white sand, turquoise water, charmingly lovely details and as the photographs will attest relaxed and happy smiles all around. 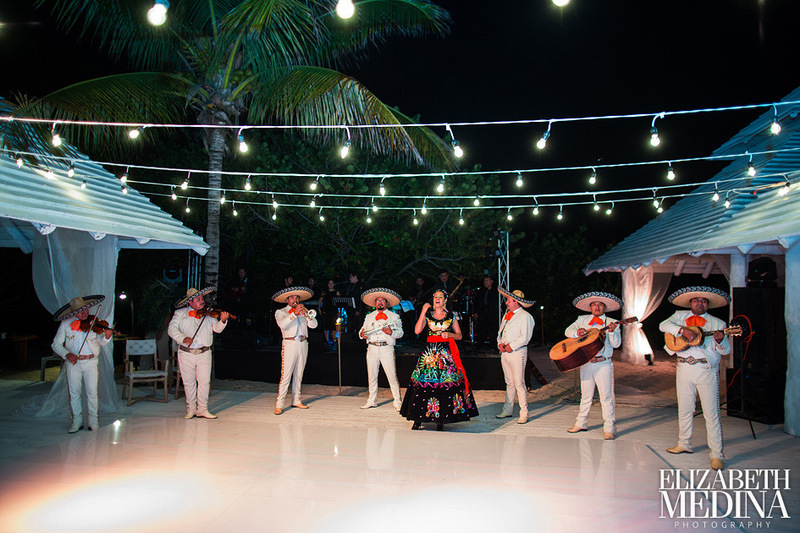 And as an extra serving of amazing, the hora and an energetic Mariachi band. 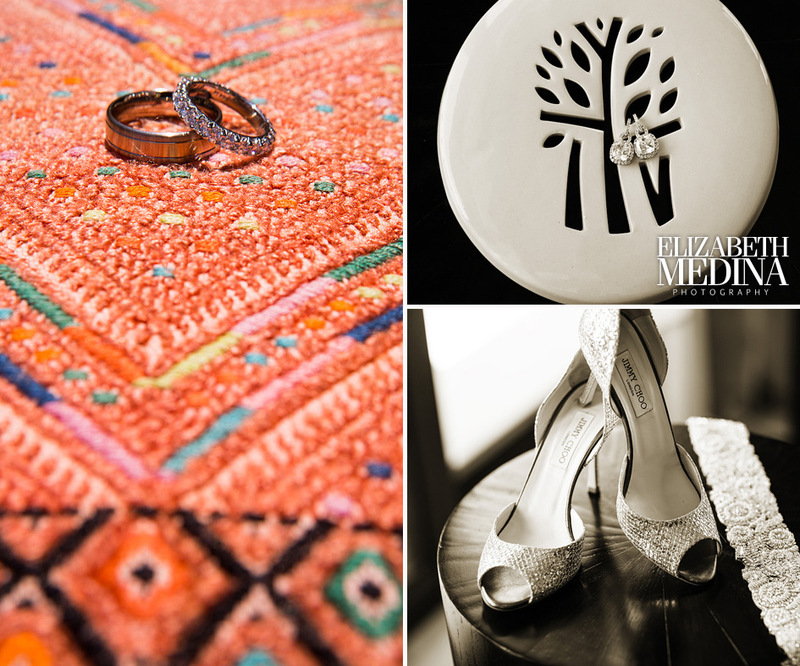 Mazel tov, Sharon and Josh and the warmest of wishes from your photographers Elizabeth and Lindsey. 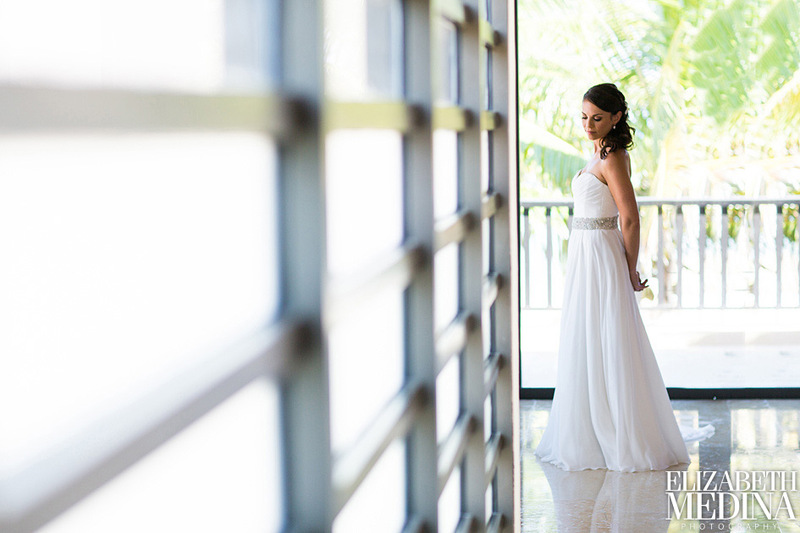 I hope everyone will have a minute to scroll all the way down for a look and the photographs we were so happy to create for Sharon and Josh as well as a peek at the work of event planner Michelle Salazar of My Perfect Wedding and make up artist extraordinaire Adrian Guerra of Styling Trio Riviera Maya. 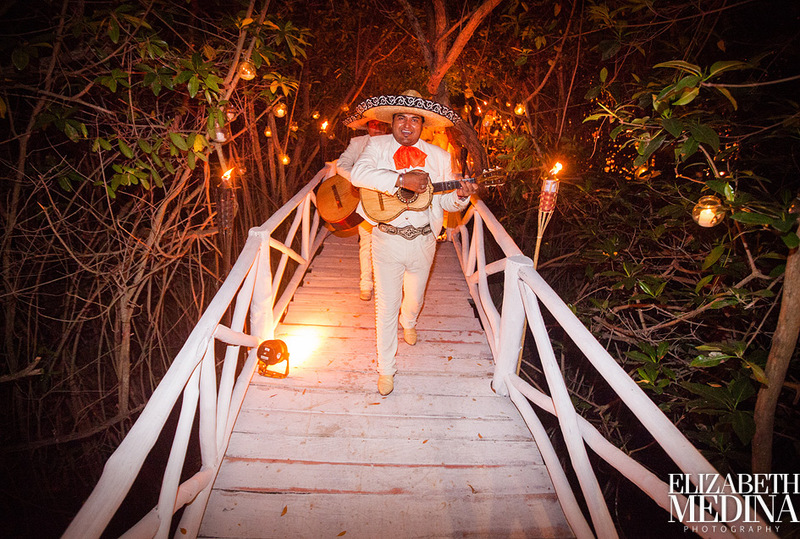 A mariachi band seenaded the guests as they walked from the cocktail hour location the the reception at MK Blue. 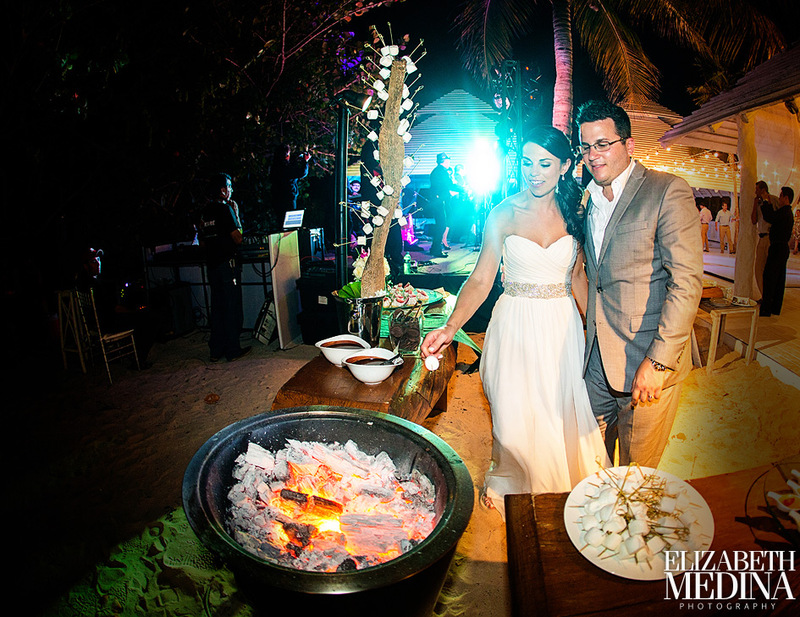 Who could not love the s’mores bar? 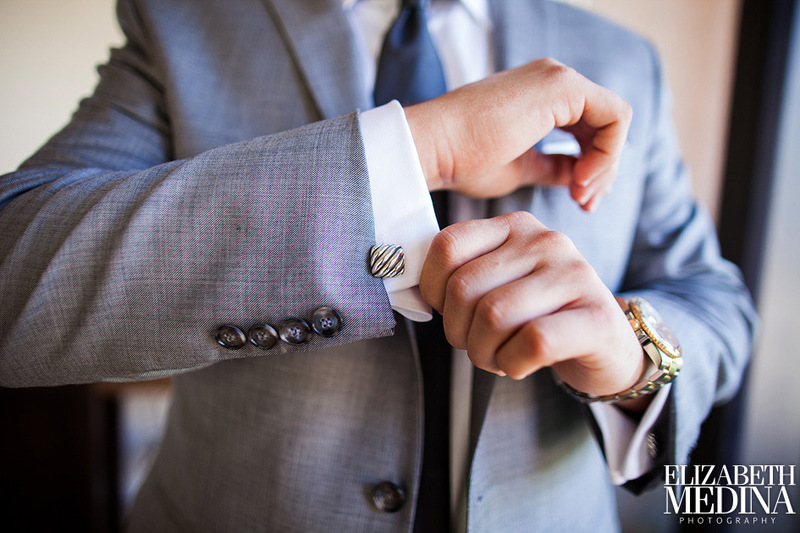 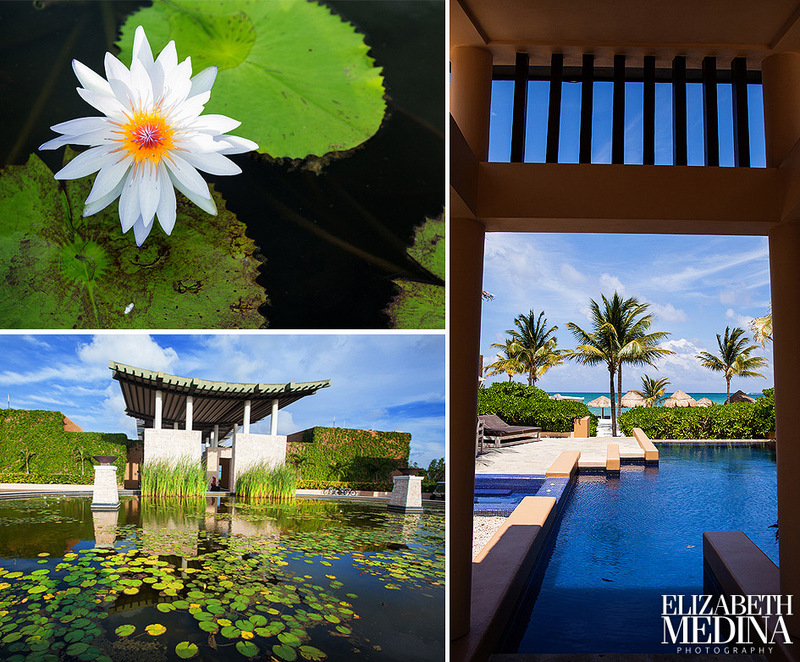 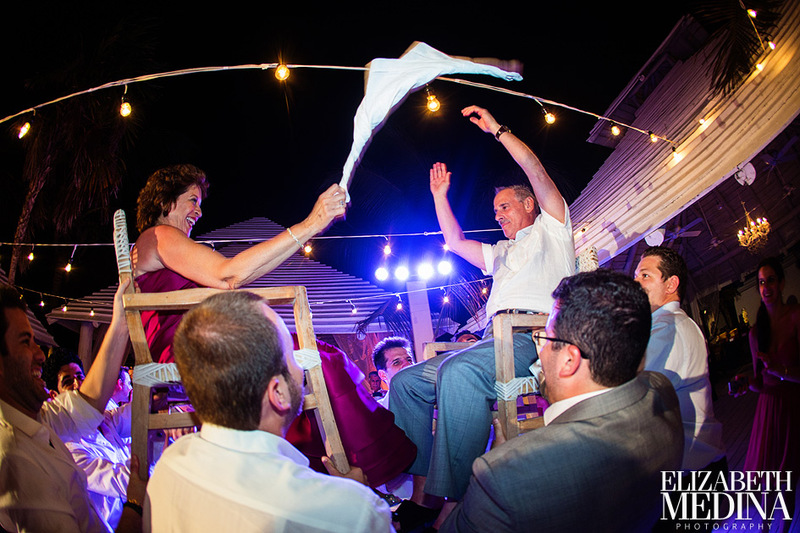 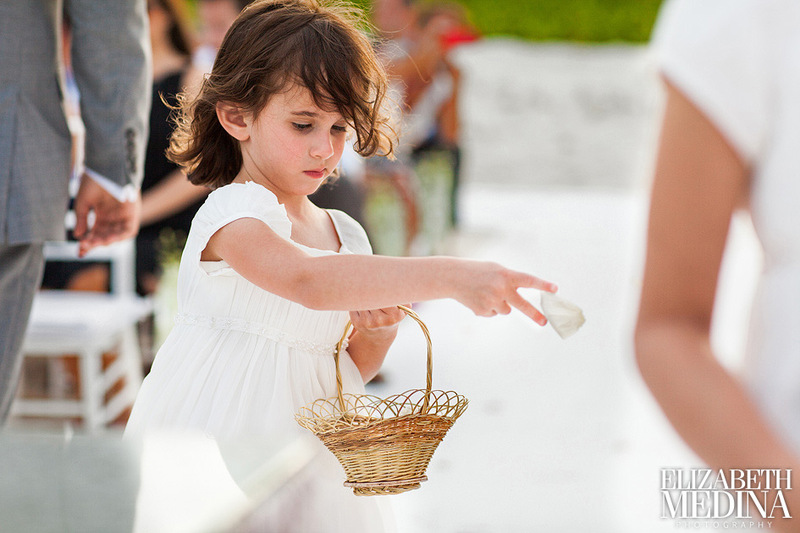 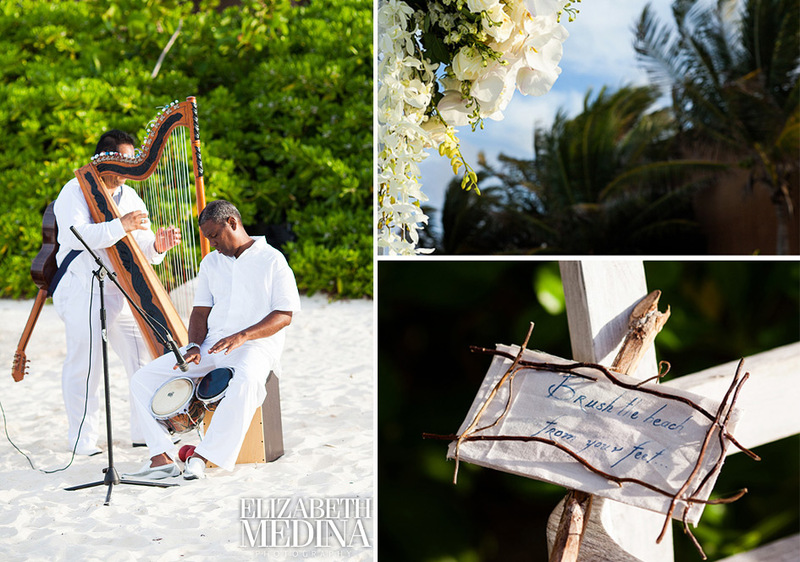 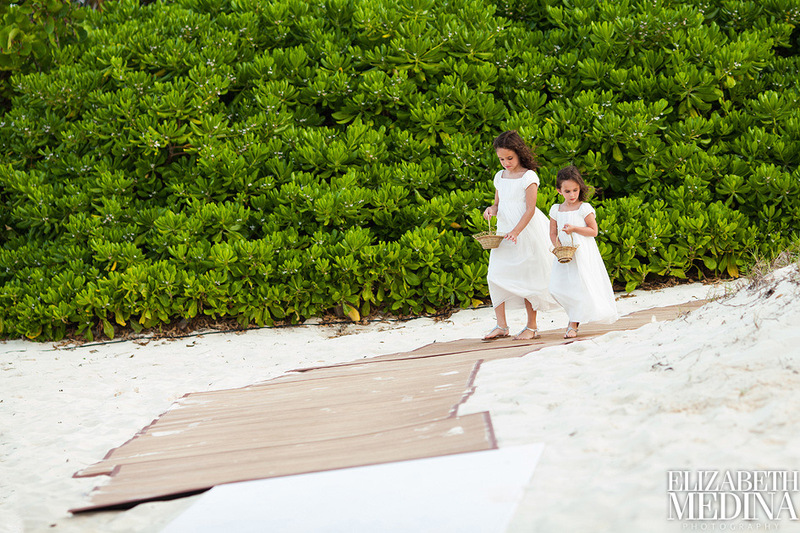 Elizabeth Medina Photography, Mexico’s premier wedding photographers photographing weddings in Playa del Carmen, the Yucatan, Merida, Cancun, Tulum, Cozumel, Puerto Vallarta, Los Cabos, Guanajuato and throughout Mexico.